Home/Latest news/Entrec Christmas Raffle from December 1st! 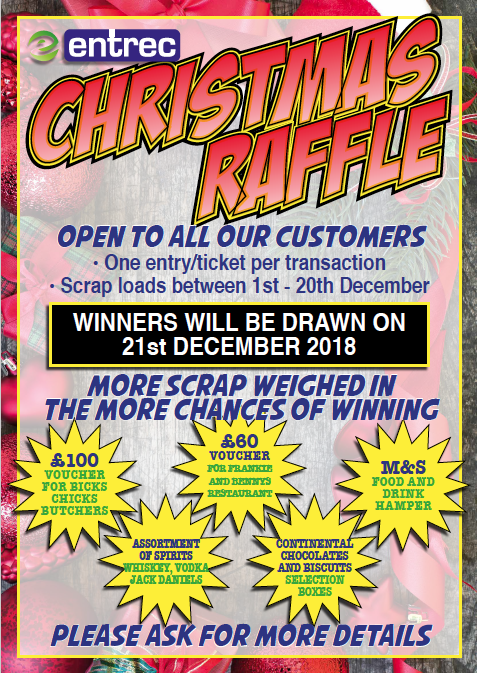 We’ll be drawing the raffle prizes on December 21st so get in touch now to be in with a chance to win – and remember, the more scrap you weigh in, the more chances you have of winning! Call us on 01978 664 060 or email info@entrec.co.uk to find out more or book your weighing in at our Wrexham headquarters.